Cheap Sticks for Electronic Drums? Electronic drums have grown immensely in popularity, and it isn’t hard to see why. The convenience, and control of volume or two of the main reasons people are turning to electronic kits. There are a few differences not just in terms of how they work, but how they should be played. 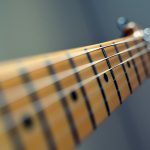 Different sticks are one of the things you will need to consider, and in this article, we explore the best drumsticks for electronic drums. The good news is that sticks are likely to last longer with an electronic kit. This is certainly the case if you buy the right ones starting out. The surfaces being struck create less tension in the stick and the likelihood of cracks and other imperfections is greatly reduced. It isn’t just the lifespan of the sticks that we’re looking at, though, and your electronic drum heads need to be looked after too. An abrasive stick can start to produce wear and tear or even damage. On to our recommended drumsticks. There are a lot of different drumsticks on the market, but we’ve tried to keep things as simple as possible. Zildjian are a brand we recommend time and time again on the blog, whether it’s their cymbals or their sticks. It isn’t hard to see why we like them, their product range is both high-quality and huge, as proved with their clever anti-vibe series of sticks. These sticks come with a variety of different heads, but as explained, we recommend the Nylon for electronic drums. 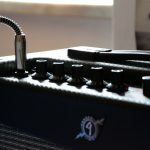 A clever, patented system (the anti-vibe) developed by the brand reduces key vibrations, and generally improves the feel of playing on pretty much any kit. They are comfortable, and easier on the hands, making them a top choice for beginners. Fatigue is something a lot of drummers have to deal with, coming from hours of holding sticks whilst playing your drums. The design of these sticks, combined with the bounce of the rubber on an electronic kit, will minimize this risk. Whilst looking at other reviews of these sticks, we’ve seen many people praising the quality and longevity of these sticks, which can last a really long time combined with an e-kit. This can even save you money in the long haul. 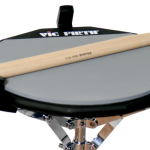 Another brand who it is no surprise to see mentioned is Vic Firth. They’re prolific in the world of drumming and have been for decades. Their impressive eSticks are built for the 21st century, and with electronic drummers in mind. The rebound and bounce of these sticks give them a really nice feel, and a long taper is designed with electronic sets in mind. They can be used on acoustic kits too, but many reviewers have mentioned that this can cause these sticks to break easily as they aren’t the most durable. 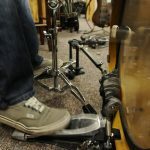 Generally, most consumer reviews seem to be pretty positive, and though they may not last forever, this is less of an issue for e-drums as there is less strain on the sticks. Certainly an option worth considering. Vater is a brand which specializes in drumsticks, so they were bound to have something great for electronic drums. They haven’t disappointed, and the VH5BNs are some of the nicest, and most highly-reviewed drumsticks we’ve ever come across. The Nylon tip makes these a great choice for your e-kit, but generally, they are very comfortable and versatile, great for playing almost any style of kit. Vater is very particular about the materials used to make their drum sticks, and it shows! These aren’t the cheapest sticks you’ll ever come across, but the fact that they are so well made means they should last you a while. They guarantee against their Nylon tips ever coming off in the whole life span of the sticks! 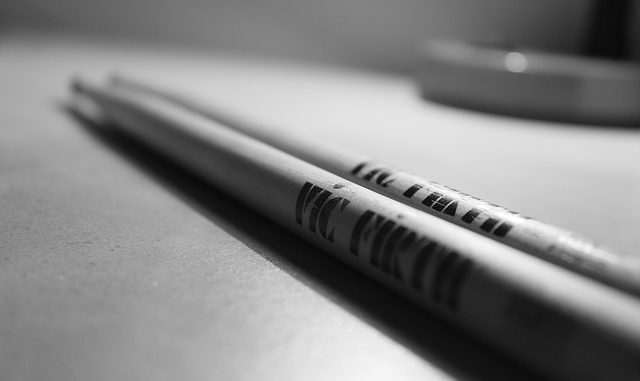 These are an elite product, and professional drummers will often use Vater drumsticks. This is reflected in the price, but they are still far from the most expensive product you’ll buy as a drummer, and the bounce, comfort and feel of these sticks make it worthwhile. We wanted to include one option for cheap sticks. The three brands above are on the more pro level. 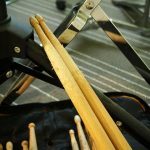 Drumsticks aren’t expensive, but if you are prone to losing them or breaking them then the price can add up over years of playing. Cheap sticks are a case of ‘you get what you pay for’ and don’t have the cool benefits and pro feel of the three sets of sticks already mentioned. Often sold as a three pack, these products are available at a pocket-money price tag. The sticks are decent, and certainly aren’t likely to let you down in the first few plays. The fact they are made from hickory means that they’re pretty sturdy. There are different sizes on offer, and different tips, but of course we’re recommending you go for Nylon! Not likely to be the drumsticks your favorite drummer from your favorite band use, but for those on a budget or just starting out, these aren’t bad. We’ve recommended the preferred sizes of drumsticks above, but if you need more info about stick size and what this means for your playing, the video below explains it in some detail. Most of the drumsticks above can be purchased in different sizes. Electronic drum kits have come a long way. We’ve got a lot of content lined up about e-kits here on the site and will be covering everything from amps to cymbals. Though they’ve improved greatly, there are differences to playing acoustic kits, and possibly always will be. Playing a kit made out of rubber or other similar materials is never going to feel the same as playing a drum head. This is something people often consider when buying drumsticks. We’ve included products that have a nice bounce and recoil. You probably won’t be hitting the drums as hard (you don’t need to as it doesn’t change the volume in an electronic kit) so having a nice feel and bounce to the sticks will feel more like acoustic kits. This is great if you are used to acoustic kits, or plan to move to playing them in the future. It will mean less of an adjustment switching between the two. I meet a lot of drummers who go through loads of sticks. This can cost a pretty penny over time. 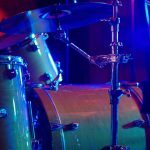 As electronic kits are much easier on your sticks, there isn’t any reason that you should fall into this category if you take good care of your drumsticks. The process is simple. Keep them in a bag to avoid external damage, and so that you know where they are. Don’t play unnecessarily hard, an audio engineer can always make your drumming stand out live or recorded, you don’t have to thrash at your drums. Choose the right sticks to start with. Cheap, substandard sticks will only end up letting you down. Tips of drumsticks are often made out of either Nylon or Wood. As you can imagine, the Nylon sticks have less of a hard impact on the drums and give a bit more bounce, something many drummers prefer. Due to both the feel and impact of Nylon heads, these are mainly what we recommend for e-kits. There are players out there using wood, but it is hard to see too many benefits to this. Many people need quiet sticks for electronic drums. Even though the drums themselves can be played through headphones, the sound of the stick striking the drum still makes some noise. Nylon sticks are often said to be quieter in this regard, too. Great for not annoying the neighbors. The main thing we recommend is not to mix your use of electronic and acoustic drums. Use one set of sticks for your e-kit and don’t use them for anything else. As the electronic drums revolution continues, you can just about get by with any drumsticks you like, but that isn’t the most sensible way to do it. Spending a little time researching the best sticks for your own needs can make the world of difference in the long run.